Hydroxatone Review, Instant Effect Wrinkle Reducer & Age Defying Firming Serum. Hydroxatone Product Review, Instant Effect 90-Second Wrinkle Reducer claims to be a fast working age defying firming serum. While it is a fast acting age defying wrinkle reducer, it was a very uncomfortable skin tightening product for me to use. I received a sample of the instant wrinkle reducer in the mail and was excited to see the results of this skin firming serum. It was just enough to apply one time and that was all I needed. Now, I don’t know if it had an adverse reaction to my skin because I have very dry and sensitive skin or what the deal was. I am so glad I received and tried the sample before buying this age defying skin firming serum, because I was giving serious thought to purchasing the Instant 90-Second serum to reduce my wrinkles and tighten my face. My first reaction right after I applied the Instant Effect Wrinkle Reducer, was this is amazing and I will purchase more because it does tighten and smooth away the wrinkles instantly as the product dries. It almost feels like you are wearing a face mask and actually looks like it as the products dries. A white film starts to appear as the Instant Effect 90-Second Wrinkle Reducer dries and it began irritating my skin with an uncomfortable burning sensation and a lot of itching. When I would rub or touch my face around my eyes the powder would get into my eyes. 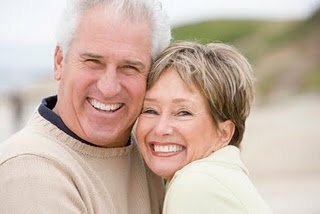 The uncomfortable sensation kept getting worse and as my facial muscles moved the tightening, firming and smoothing of the wrinkles was going away with each movement of my face. Less than 2 hours after applying the age defying firming serum the areas where I applied it actually looked and felt worse than before I applied it. The uncomfortable sensations were becoming to much but yet; I wanted to see how well the 90-second wrinkled reducer worked. Like many woman, I want to find a way to smooth the wrinkles from my face. So, instead of washing off the Instant Effect Age Defying Serum, I applied some of my face cream to help relief the itching and burning. The burning was still there, but the itching had subsided some what, but then when I would touch or rub my face I would get rolled up particles of the age defying serum as I move my hand across my face. The age defying wrinkle reducer serum felt and appears to have sucked all the moisture out of my skin and, we all know moisture is one of the essential components for a plump younger complexion. I can not tell you how the Instant Effects 90-Second will work on oily skin or skin that is not as sensitive as mine. The anti wrinkle serum cost approximately $60.00 for a 1/3 of an ounce and with that cost and lack of effectiveness for me, this firming serum is not a skin tightening product I can use, but many have great results with this instant skin firming product. 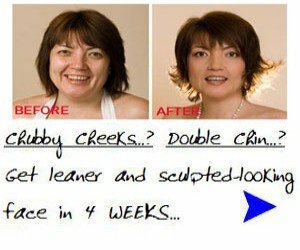 Friends of mine have used it and have great skin tightening results and love it and they still use it to this day. Their skin looks amazing! But no such luck for me. So the best thing I can suggest is just try. If you get a sample in the mail or know some one who uses this wrinkle reducer firming serum, try it for a day and see how your skin reacts. I hope it works as great for you as it does for some of my friends. This instant firming serum works for many, but sadly not for me. There are pros and cons associated with the 90-Second Instant Effects wrinkle reducer age defying firming serum and it depends on how your skin will accept this product. If you are a lucky one and your skin accepts this age defying firming serum, then you will definitely see the results immediately. It will be very noticeable by everyone you know. It does work wonders, but my skin would not accept this Deep Wrinkle Reducing Concentrate. 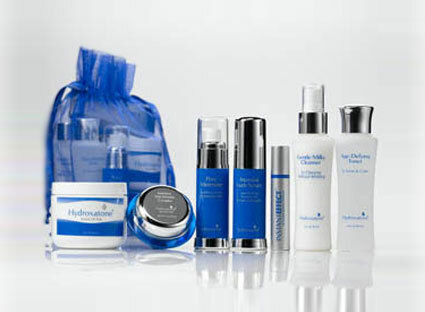 If you do not have sensitive or dry skin, you will more than likely have very beneficial and positive results using the Hydroxatone instant effect wrinkle reducers, but then again, it could be just my skin that won't accept this product, as some friends do have dry sensitive skin and the product works just fine for them. Concentrated Anti Wrinkle Spa Treatment In 20 Minutes! 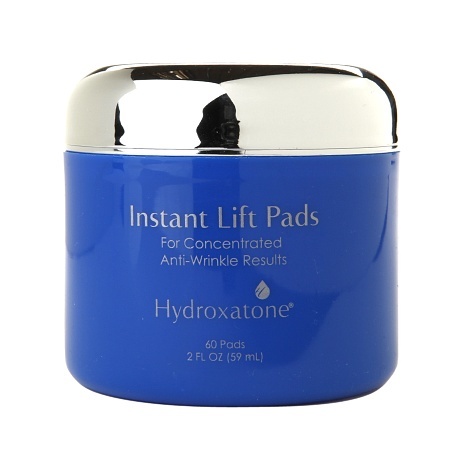 Instant Lift Pads are designed to give your face a tighter, fresher appearance in targeted areas. Hydroxatone 10 Complex is concentrated into a pad that can be used anytime you want to look younger and more radiant. Use it every other day to accelerate Hydroxatone's Revolutionary Anti-Aging Results or whenever you have a special event or just a desire to look your absolute best! 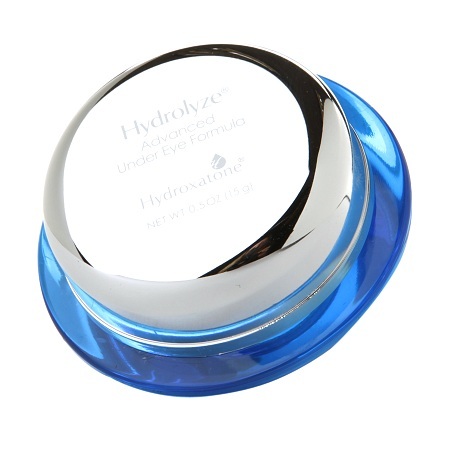 This new and improved formula fights dark circles, bags and with continued use, hydrolyze also helps diminish fine Lines and other visible signs of aging for a more youthful look. Rosacea Home Treatment - Face Lift Exercises!